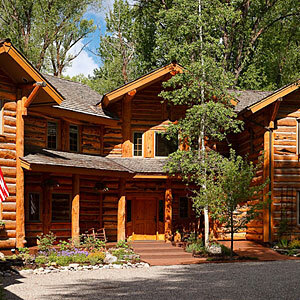 We love this classic Jackson log-home building at the base of the Tetons. You'll find five rooms with fireplaces (four with jetted tubs). We love this classic Jackson log-home building at the base of the Tetons. You’ll find five rooms with fireplaces (four with jetted tubs).